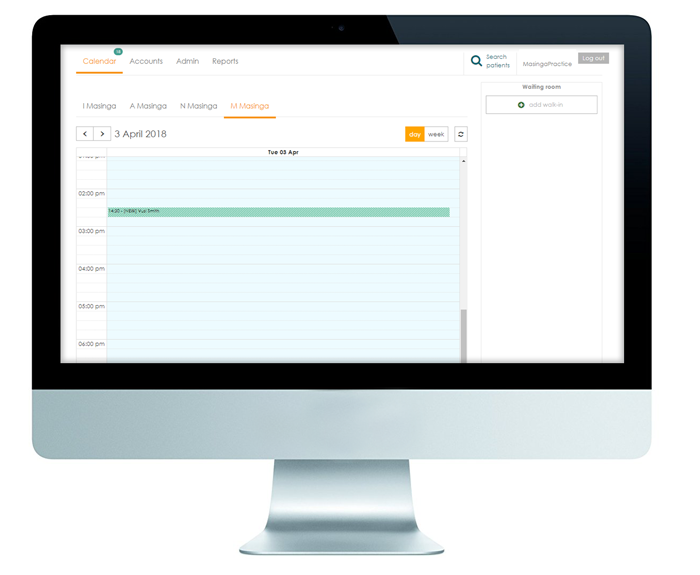 Not only can your patients book appointments online at any time, but will also open opportunities for new patients to book appointments with you. These appointments are then integrated back into your myMPS online calendar where you can decide to accept or decline. You will also be listed on RecoMed’s partner channels (directories, schemes, life insurers) to gain additional exposure to potential patients. The patient sees Dr availability in real-time and books an appointment online. Practice administrator receives booking and confirms appointment without having to leave the myMPS calendar. Once appointment is submitted, the patient receives an automated request, confirmation, reminder SMS’s and an email. Your patient arrives at your practice at the scheduled appointment time. Watch the video to see more about how RecoMed works with myMPS.